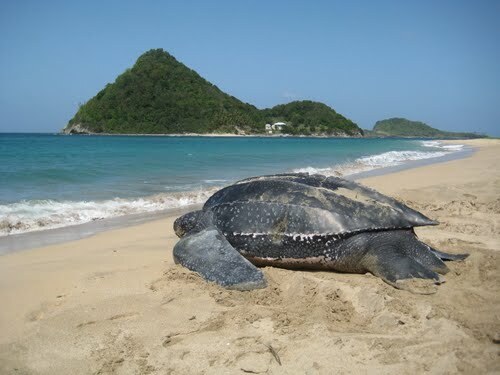 It’s a tradition that goes back to the beginning of their time: leatherback turtles visiting the beaches of Grenada to lay their eggs. Under the moonlight of the clear Caribbean sky, you can have the chance to witness this magical event on a secluded beach. 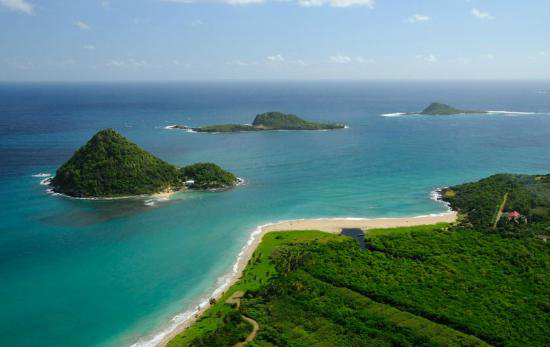 On the northern side of the island, Levera is a quiet white sand beach with a spectacular view of Sugar Loaf Island. While Levera is a fantastic place to go for a secluded daytime outing, it is really special for what happens after dark in the months of March through August. During laying season, leatherbacks return to the same beach they were hatched on, emerging from the water and crawling up the sand to dig a large well to lay their eggs into. Once the turtles have begun digging their nest, they go into a trance that allows spectators to get near them and witness the activity within arms reach. Once the eggs start to hatch, the newly born turtles crawl up through the sand and slowly make their way back to the water, only to return once they are grown to repeat the process themselves. 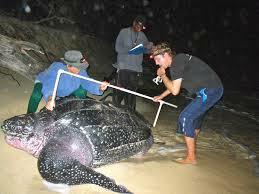 The season has officially begun, as five turtles have already been recorded through night patrols. As marine turtles continue to face the growing threat of extinction, their laying ground on Levara Beach is a protected area and is carefully monitored during laying and hatching time. In order to allow us to still witness this once-in-a-lifetime experience, a local conservation group arranges for small groups to take guided expeditions to the beach and witness the laying in person. If you are visiting Laluna during egg laying or hatching season, Laluna’s concierge can help arrange your excursion and transportation to the north side of the island. The group monitoring and helping to protect the turtles is Ocean Spirits, a registered, non-profit conservation organization based in Grenada. Since 1999, this local group has focused on the protection of marine turtles found throughout Grenada’s coastal waters and beaches. Today, in addition to leading limited tours to view the turtles laying and hatching, they operate a scientific research program that spans 6 months of the year and manage a nation-wide education initiation. 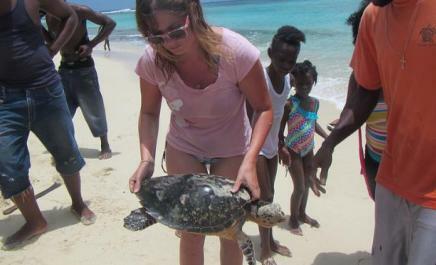 Ocean Spirit hopes to ensure that the spectacle of a nesting or foraging turtle remains a key component of Grenada’s unique and vibrant biodiversity.